Their argument focuses on four constitutional issues. Shortly after the complaint was filed, on November 12, 2015, “nearly every oil and gas company in the world” sought to intervene to oppose the lawsuit. On January 13, 2016, the American Fuel and Petrochemical Manufacturers, the American Petroleum Institute, and the National Association of Manufacturers were granted permission to intervene.10 These encompass groups such as BP, Shell, Exxon Mobil, and the Koch Industries among others. While this is a “novel theory,” that does not mean that it is without merit. The fact that science has advanced to a point where the negative impact that pollution has on the environment and on health can be proved allows the court to create a direct link between governmental inaction and damage to the environment and people’s health. The strength of the case will rely not only on the plaintiff’s ability to prove their constitutional claims but also the science linking government policy to tangible effects in the environment that can be remedied through government action. While the plaintiffs have a strong case, they will face heated opposition not only from companies in the oil industry but also President Trump, who has been very clear about his views surrounding environmental regulation. The administration has already begun efforts to curtail environmental regulations in the name of economic growth. Since this is such a “novel theory,” the case’s outcome will have a significant impact on the role that the courts, through constitutional law, can have on the President’s power through executive orders and his control over the EPA. 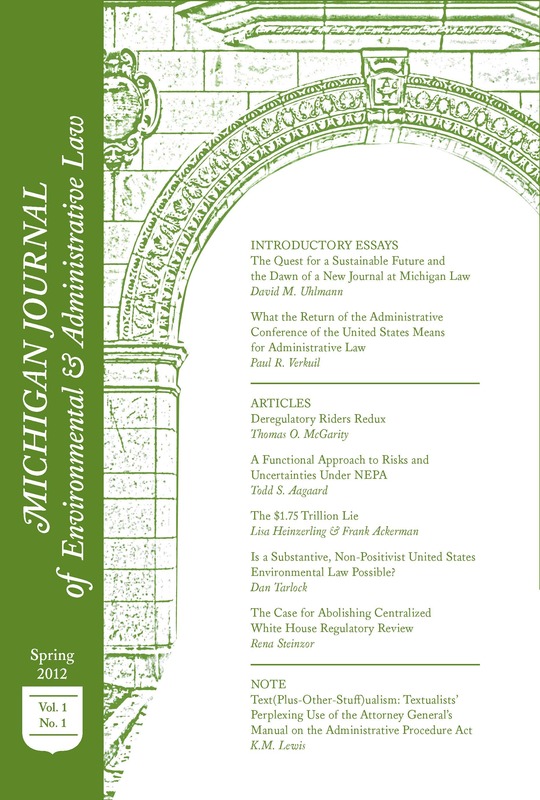 A win for the plaintiffs could lead to less executive autonomy over environmental regulation and more protective legislation. Conversely, a win for the defendants will leave the executive power over environmental regulations where it is now, which will lead to a continued loosening of environmental regulations under the Trump administration. *Anna Rasmussen is a Junior Editor for MJEAL. She can be reached at annaras@umich.edu. U.S. Landmark Federal Climate Lawsuit: Details of Proceedings, Our Children’s Trust, https://www.ourchildrenstrust.org/federal-proceedings (last visited Feb. 21, 2017). Complaint for Plaintiffs at *1, Juliana v. United States, No. 6:15-cv-01517-TC, 2016 U.S. Dist. LEXIS 156014 (D. Or. Nov. 10, 2016). As Julia Olson, the executive director or Our Children’s Trust explains, “the public trust law in our country and around the world says that common resources like water and air are held in trust by the government for the people and for future generations.” Press Release, Our Children’s Trust, America’s Youth File Landmark Climate Lawsuit Against U.S. Government and President (Aug. 12, 2015). Complaint for Plaintiffs at *93. Juliana v. United States, No. 6:15-cv-1517-TC, 2016 U.S. Dist. LEXIS 52940, at *3 (D. Or. Apr. 8, 2016). Press Release, Our Children’s Trust, World’s Largest Petroleum Companies Call Youth’s Landmark Climate Lawsuit “a Direct Threat to [Their] Businesses” (Nov. 12, 2015). Press Release, Our Children’s Trust, Fossil Fuel Industry Becomes Names Defendant in Youths’ Landmark Constitutional Climate Lawsuit (Jan. 14, 2016). Juliana, No. 6:15-cv-1517-TC, 2016 U.S. Dist. LEXIS 52940. Juliana, No. 6:15-cv-01517-TC, 2016 U.S. Dist. LEXIS 156014, at *50. Juliet Eilperin and Steven Mufson, Trump to Roll Back Obama’s Climate, Water Rules Through Executive Action, Washington Post (Feb. 20, 2017).